The Blogging Besties series was the brain child of Alex @ The Cheerful Closet and Whitney @ Whitney à la Mode. It’s based on the idea of “take one, pass it on,” but passing on an element from another blogger’s outfit. At first, it was just Alex and Whitney, ping-ponging back and forth. Then they added a link up, which I faithfully participated in. In 2015 the link up was dropped, and the series expanded to include me, Selah @ A Bibliophile’s Style and Maricel @ My Closet Catelogue, another loyal link-up participant (and one of my very best Blogging Besties). For over 2 years now, we’ve gone round robin, passing on an element from the previous blogger’s outfit. It’s been a fun challenge that inspired us to be creative! However, all good things must end, and sadly, Blogging Besties is ending today. Alex and Maricel have both decided to quit blogging, in order to pursue other endeavors. With the loss of half the participants, Whitney and I feel that it is an appropriate time to end the series. These ladies have truly become some of my closest friends. Their prayers and encouragement helped me through an extremely difficult year, and I cannot thank them enough for that! I’ve had the great pleasure of meeting Whitney in person, and I hope someday to meet Alex and Maricel face to face as well. Until then, we will keep in touch via email and Instagram. 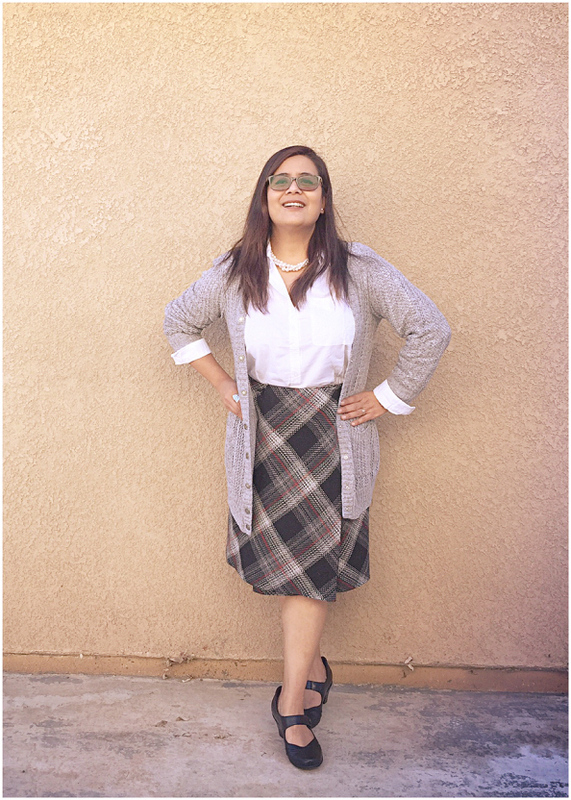 Blogging Besties is a weekly series featuring Whitney of Whitney à la mode, Alex of The Cheerful Closet, Maricel of ::My Closet Catelogue:: and Selah of A Bibliophile’s Style. Each week, one of the bloggers will choose one component from the previous week’s outfit to pass on in a brand new look. This “take one, pass it on” challenge is an inspiration to stretch your closet and your imagination! Isn’t Alex always the epitome of office chic?! And last week was no different! 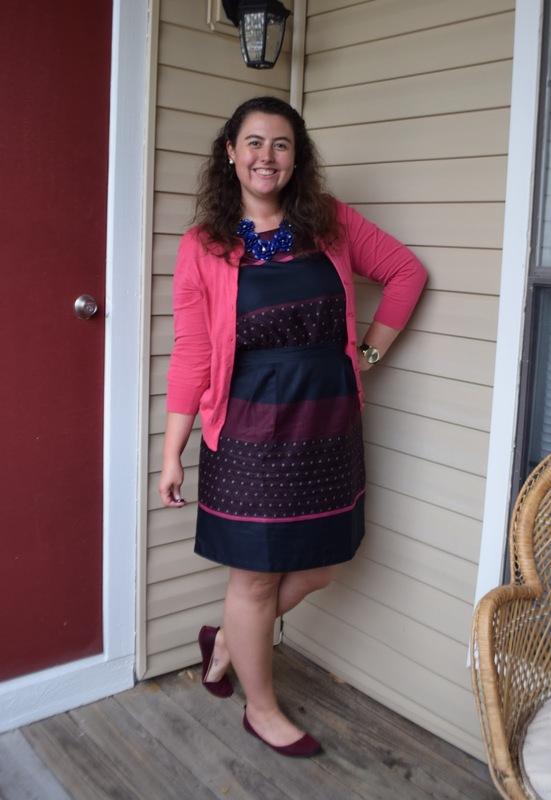 From her outfit, Alex challenged me to pass on stripes, hot pink or a statement necklace. 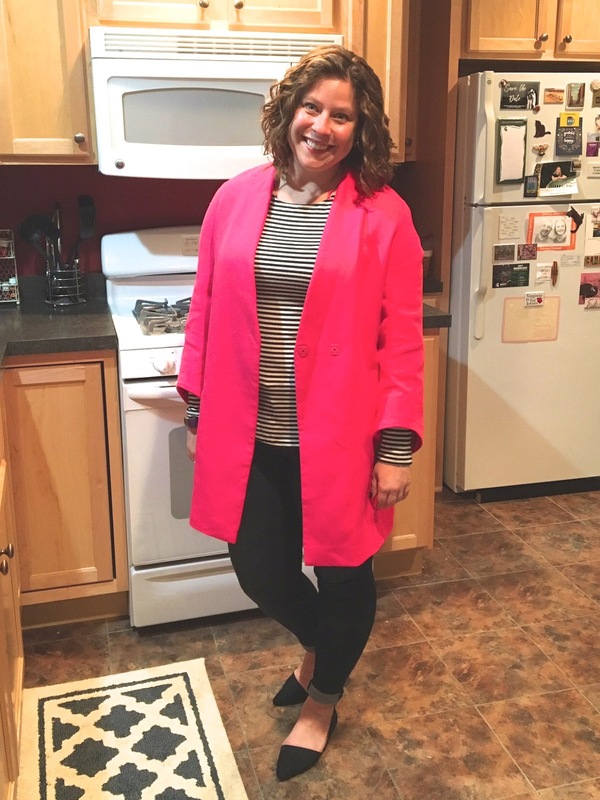 I immediately knew that I wanted to style the hot pink coat that I purchased in Belgium now that it’s actually cool enough to wear it! And in planning my outfit, I kind of forgot that stripes were an option as well. I guessed I checked two boxes with this outfit! 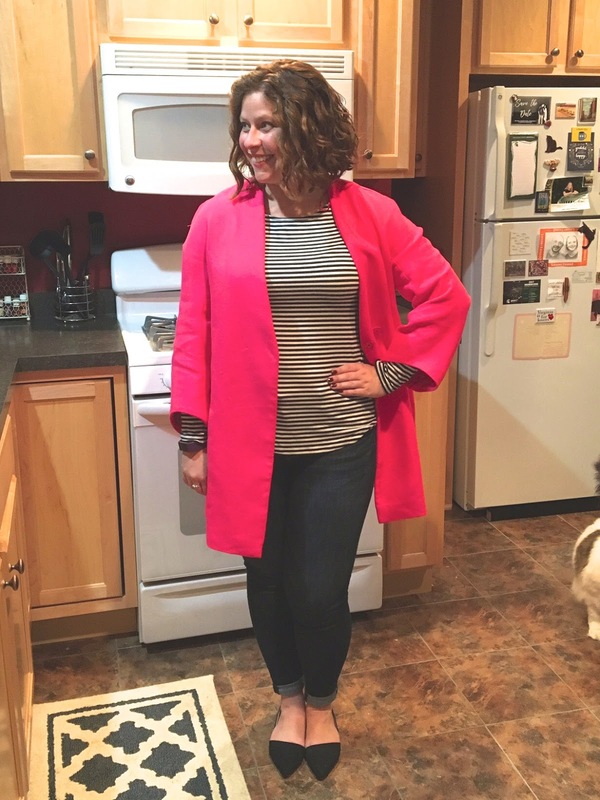 I’m looking forward to styling this statement coat in a lot of different ways, but for it’s first outing I really wanted it to be European-chic so I stuck with basic black and white stripes and d’Orsay flats. Selah, your choices for next week are a statement jacket, black and white, or pointed-toe flats. Blogging Besties series is the brain child of Alex @ The Cheerful Closet and Whitney @ Whitney à la Mode. In 2015, the series expanded to include yours truly @ My Closet Catalogue and Selah @ A Bibliophile’s Style. It’s based on the idea of “take one, pass it on,” but we’re passing on an element from another blogger’s outfit. It’s a fun challenge that inspires us to be creative! Last week, Maricel challenged me to wear something white, something oversized, or something sensible. 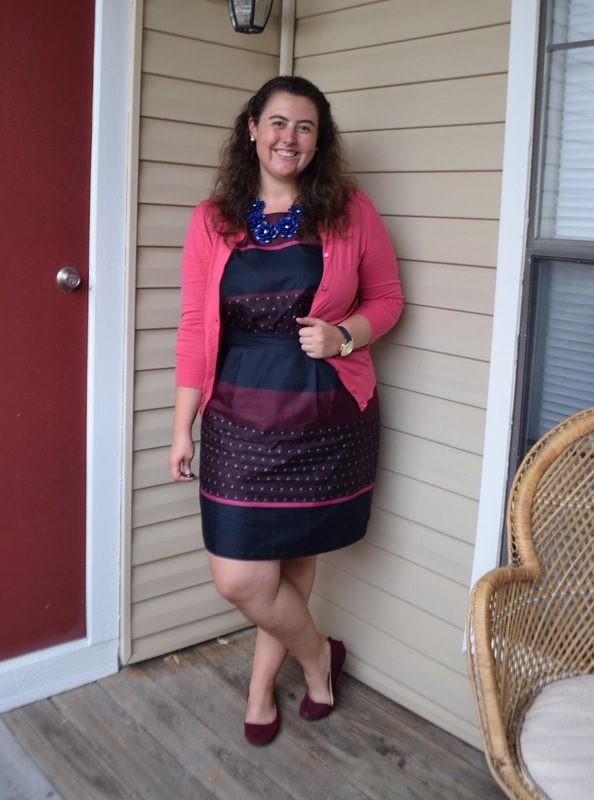 I am nothing if not sensible, so for this week I styled one of the most sensible pieces I own–my interview dress. Rather than the conservative way I usually style it for interviews (neutral blazer w/ matching wedges) I went for more “fun” this time since it was just a regular workday! 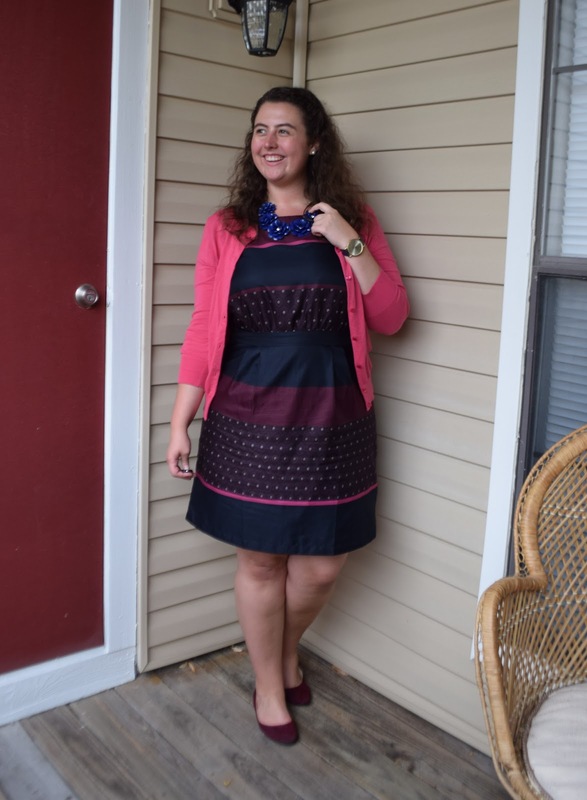 I pulled out colors from the pattern and chose my accessories/completer piece in those colors–the pink of the cardigan, the navy of the necklace, and the maroon of the flats. 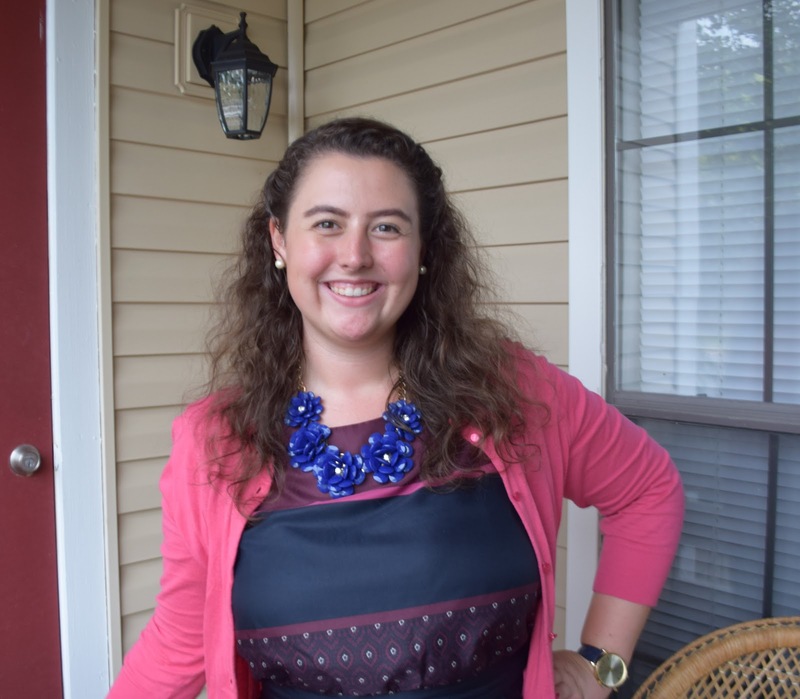 Next week, Whitney can choose from the following: stripes, hot pink, or a statement necklace! A Bibliophile’s Pile (49): Ready for Christmas Break!